The program will be divided into three parts each concentrated around a week long conference and accompanied by two workshops. The first part of the program (September) will focus on Discrete Geometry and Optimization. The second part (October) is going to be on Rigidity and Symmetry and the third part (November) will be around Computational Topology and Sphere Arrangements. 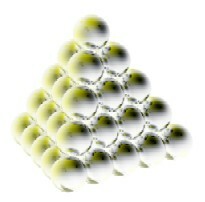 The weak and strong Dodecahedral Conjectures. We will support a number of Fields postdocs for the duration of the program, as well as offer support towards a visitors' program, including visiting Ph.D. students. For information abotu Fields postdoctoral fellowships for a see postdoctoral web page.